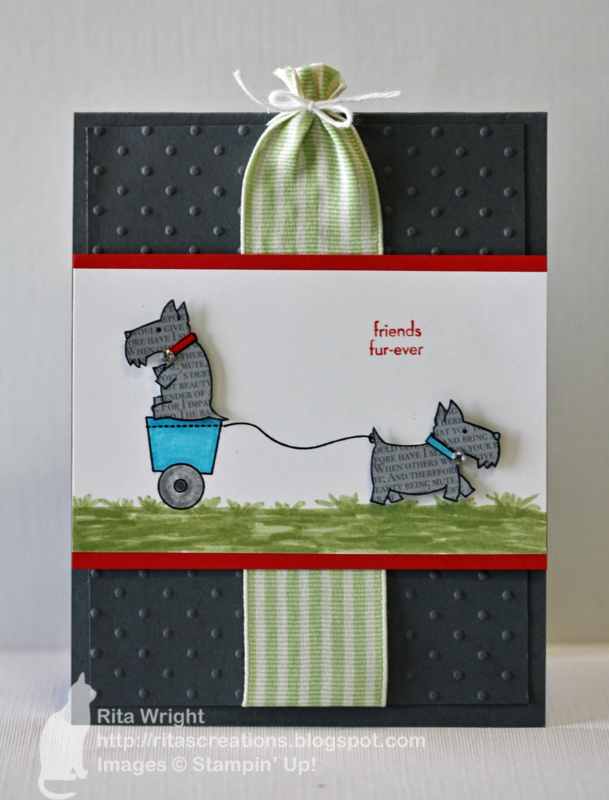 What a sweet dog card! I love that you paper pieced them! 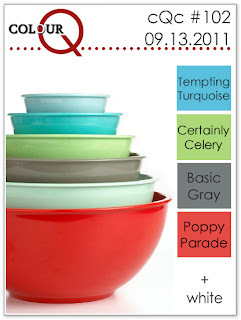 Thanks for playing along with us this week at the colourQ! Awww! That is just so cute!!! I especially love the way you've done the cute little scotty dogs. I can't wait to get it! I'm having such a hard time with this color challenge that I haven't attempted it yet. But this is adorable and I'd say you nailed it! And the ribbon looks great! Cute card, Rita! Love those Scotties! Thanks for joining us at the ColourQ this week. Oh Rita, this is adorable! I love the paper pieces scotties with their ColorQ collars and rhinestone! 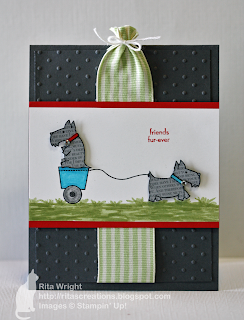 I love the way you did the grass and the ribbon is fantastic! Fantastic card, my friend!